We commonly deal with squirrels inside people's attics and eaves, especially in early autumn and late winter, when mother squirrels chew their way in and raise a nest of baby squirrels. 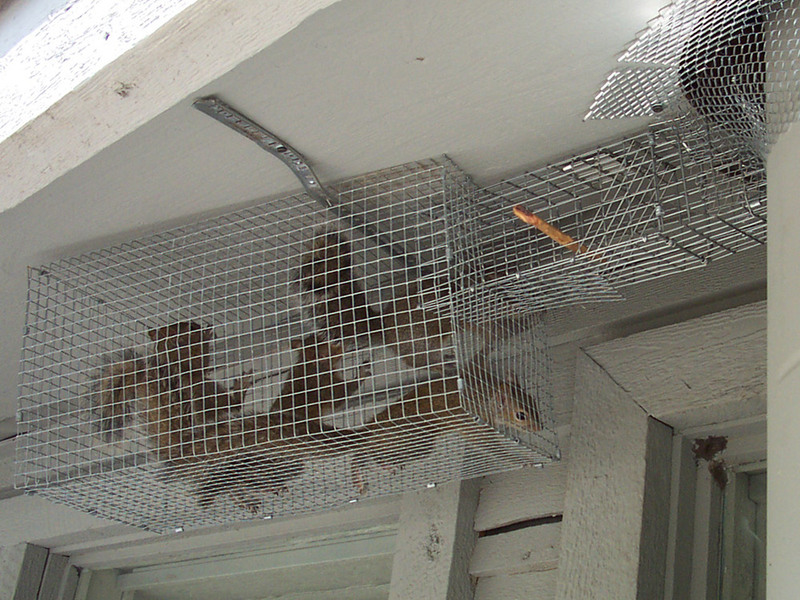 We solve squirrel problems permanently, by squirrel-proofing your home. Jax Wildlife: I was on your website and read a lot of interesting things about squirrels-thank you. We live in west Jacksonville and have problems with the squirrels nesting in the tree in the middle of our back yard. The ONLY problem with that is we have 2 dogs and the one constantly barks if the squirrels are active in the tree. The dogs are outside during the day as we have a large backyard and we work full time. We have tried several different “bark” collars and if we could solve how to keep the squirrels from nesting in that particular tree in the future- that would help tremendously. Just this year Barnum and Bailey have caught two (one was killed in the process) squirrels. We would like to avoid this for the obvious health reasons for our pets and ourselves. Can you offer us any suggestions on trying to keep the squirrels from nesting In this particular tree in the future? This is the first year they have nested in this particular tree (had a litter of babies) as our yard and neighborhood is well established (30 years) and the trees are mature and there are plenty. Any suggestions you can offer would be much appreciated. We have considered making a large circular ring around the bottom branches, out of chicken wire, but I am not sure that would deter them much. Appreciate your help. We operate a professional wildlife removal company operating in the Jacksonville area, including the towns of Fernandia Beach, Nassauville, Neptune Beach, Palm Valley, Vilano Beach, Saint Augustine, Green Cove Springs, Fruit Cove, Orange Park, and all of Nassau, Duval, Clay, and Saint Johns counties. We specialize in the humane removal of wild animals from buildings and property. We commonly remove animals from attics, provide bat control and rat control, and also general wildlife trapping and repair and prevention services. We are fully licensed and insured, and operate 24 hours a day, 7 days a week. Call us at 904-639-6988.